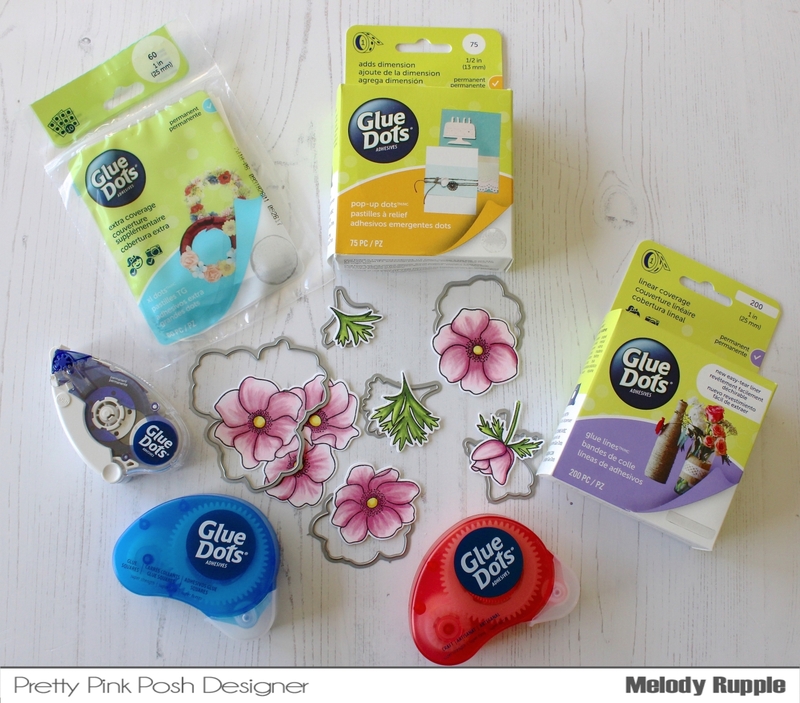 A very big crafty hello and welcome to our very special blog hop collaboration with Pretty Pink Posh & Glue Dots! 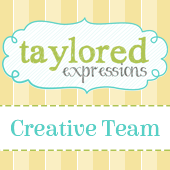 We are going to bring you a fun blog hop where there are PRIZES from both companies up for grabs, along with inspiration and videos. 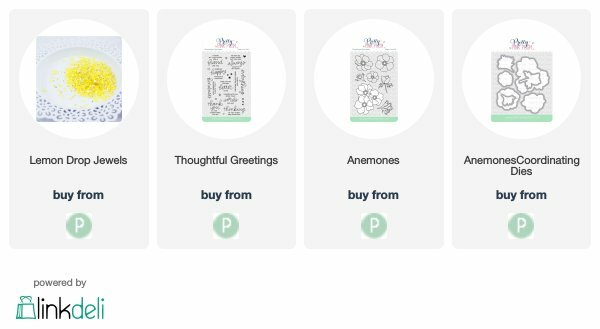 The crafters involved in this hop are going to bring you an array of projects, coloring inspiration and a variety of ways to have fun with both Pretty Pink Posh & Glue Dots collectively. Here is what I came up with. 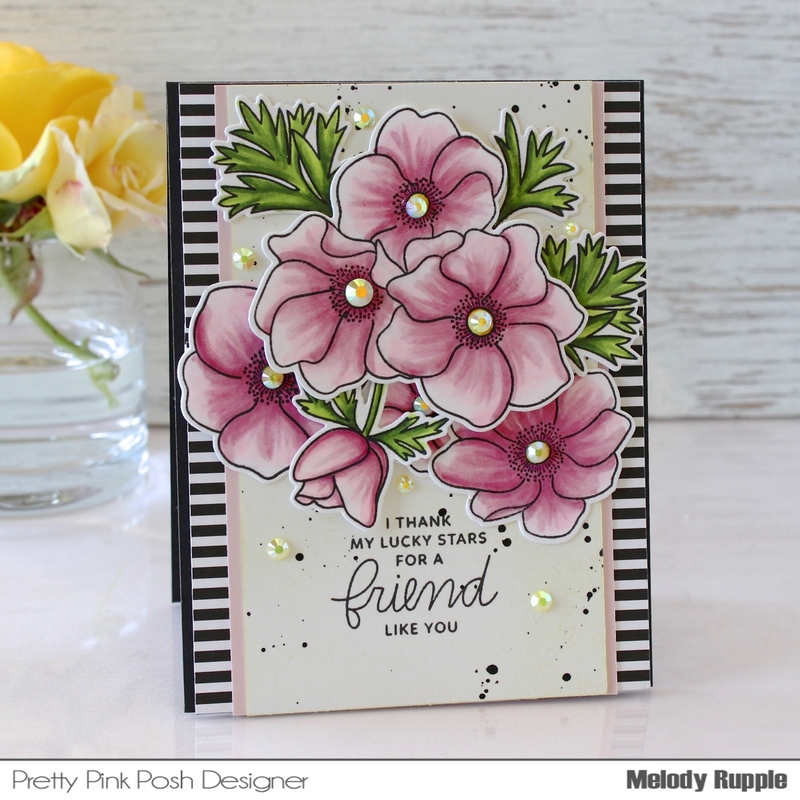 These beautiful flower are created with the Anemones Stamp Set and the Anemones Coordinating Dies. The flowers are stamped in black ink and colored with Copic Markers. The Extra Coverage Glue Dots are perfect for attaching the larger flowers to my card front. And the Pop-Up Dots work great to pop up a few of the flowers and to add extra dimension to my card. To create the card front I added a striped patterned paper, and then a panel of white cardstock, brushed with Squeezed Lemonade Distress Ink, and matted on a pink cardstock. I stamped a sentiment from the Thoughtful Greetings Stamp Set and splattered black paint on the paper. I used the Permanent GlueTape Runner to attached all my panels to the card front. The card is finished off with Lemon Drop Jewels. 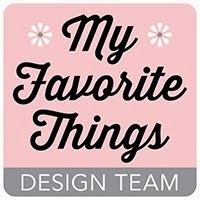 If you get lost along the way, head over to the Glue Dots or Pretty Pink Posh blog for a complete list of designers joining in the blog hop. Hop along for lots of inspiration! So pretty and elegant. Lovely coloring! The sequin flower centers are perfect! Gorgeous stamp set and coloring. I like the striped cardstock you paired with the Anemones! Beautiful flowers --I like the addition of the jewels. Lovely card! Beautiful coloring on the flowers and the lemon drop jewels are such pretty accents. Who knew there were so many different sizes of glue dots?! Such a wonderful card. Love the beautiful flowers. Beautiful flowers. I love the colors. Your florals are STUNNING! I love the gem in the middle! A stunning card Melody, this stamp set is so sweet and I LOVE the colours you chose for them. The pop up dots are perfect for this to get just the right amount of dimension, love them! Such a beautiful card!! Love it! WHat a beautiful card, the colouring and design are amazing, and the jewels in the flower centers are simply the perfect touch! Simply gorgeous! I love pink with B&W stripes. Beautiful card! :) Love the colors for the flowers. Your coloring and use of color is perfectly perfect. So beautiful! Those flowers are popping out. I love your pretty flowers and all the extra touches. Thanks for sharing. Gorgeous card! Love the flowers and the jewel centers! I love using the Pop-Up Dots for added dimension! This is a gorgeous card for a friend! The flowers are so pretty and I like the sparkle. Pop Up Relief Dots are the best! Don't you love them for popping up layers!! This is really gorgeous! I love the beautiful blend of color in your card! Very pretty design! Beautiful card! Love the way you popped up some of the flowers too. Fabulous!